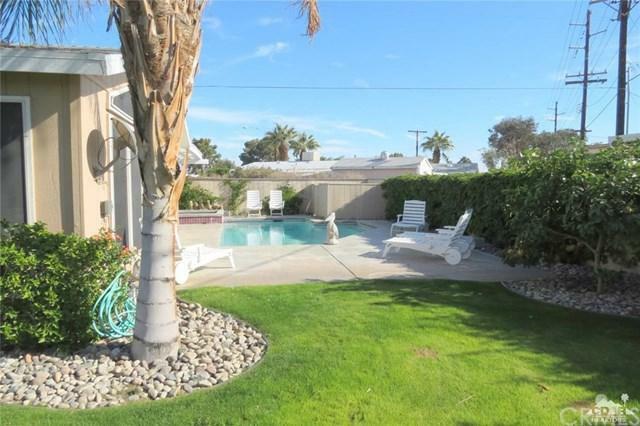 One of a kind gorgeous, private compound, desert oasis with swimming pool. This is a rare find located in 55+ Tri Palms Estates and Country Club golf course community. You will notice from the moment you step through the private gate all the extras this property offers. 1849 square feet of well appointed living area with mountain views from nearly every window. Private patio area that offers an in-ground pool and hot tub. Completely blocked in yard with grass and mature vegetation and trees. 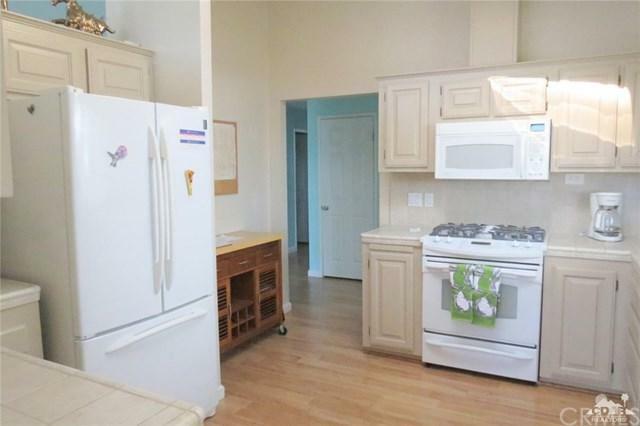 Updated kitchen with newer appliances and sky lights. Over-sized triple car garage with plenty of storage. Master bedroom has access to private patio with outdoor shower. This is a must see to appreciate.